Online payments are an essential part of business in today’s digital world. Accordingly, there are more and more companies offering online payment solutions. But not all of these providers offer the same features, and not all are equal. Here are five questions to ask when you are considering a payment provider. Do they operate in the right countries? – It may seem as though sending payments across borders should be a simple thing, but with complicated laws that vary from country to country, it often isn’t. 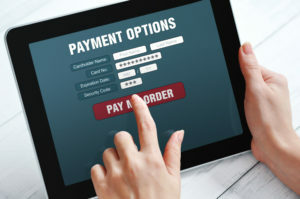 And even though the whole world is connected by the Internet, many online payment solutions still do not offer international options—or are restricted to specific countries. This is because international payments have to follow the laws of all countries involved, making compliance much more difficult. Look at which countries you operate in or have customers in (or hope to move to in the near future), and make sure your provider offers full support in those countries. What currencies do they accept? – Operating in a country is one thing; using the local currency is another. Many online payment providers run everything in USD, or in a handful of common international currencies like euros, British pounds, and Mexican pesos. Not supporting a local currency doesn’t mean locals can’t send payments—but it may mean that they get unfavorable exchange rates or have a hard time figuring out how much they’re really sending. Receiving payments in the wrong currency can also mean fees on your end. The best providers offer payments in a wide variety of major currencies. What payment methods does your company need? – Remember, online payments have to come from somewhere—a credit card, debit card, a bank account draw, a transfer or even a check. Each of these payment methods requires different back-end support. Similarly, sometimes you or the customer will want the electronic payment to be physically mailed out as a check. Make sure that your provider has the options you need. Do you need recurring payment support? – Recurring payments come with big advantages: ongoing revenue, no need to chase down customer payments each month, and a lower up-front cost for your customers themselves. Any provider that does not offer recurring payments, or makes it difficult to set them up, is behind the times. Are they 100% PCI compliant? – The Payment Card Industry (PCI) has set data security standards for all companies that process credit cards. This ensures a high standard of privacy and security for your customers, and may help reduce your liability for a breach. If a payment provider is not PCI compliant, walk away. What else do you look for in online payment solutions? First Atlantic Commerce introduces cGate® SecureRisk- a comprehensive suite of consumer pre-authentication solutions for the online Internet payment industry.